The Antelope Valley Transit Authority will begin offering WiFi bus advertising by April 2018 and install the system on to 75 WiFi enabled, electric buses by October 2018. With the AVTA covering 1,200 square miles, WiFi Advertising allows advertisers to position their message in front of more than 11,360 riders per weekday, on average...riders will receive your message/ad before connecting to WiFi! A recent survey conducted by the AVTA, approximately predicts 50% of riders will use WiFi. This number will grow as the community becomes more aware of all the technology public transportation offers. With an average of 11,360 companies will have a potential reach of 130,000 riders per month. As previously mentioned--After polling ridership--50% currently would utilize WiFi, which would be an effective 65,000 Wifi users per month that would engage the your brand. 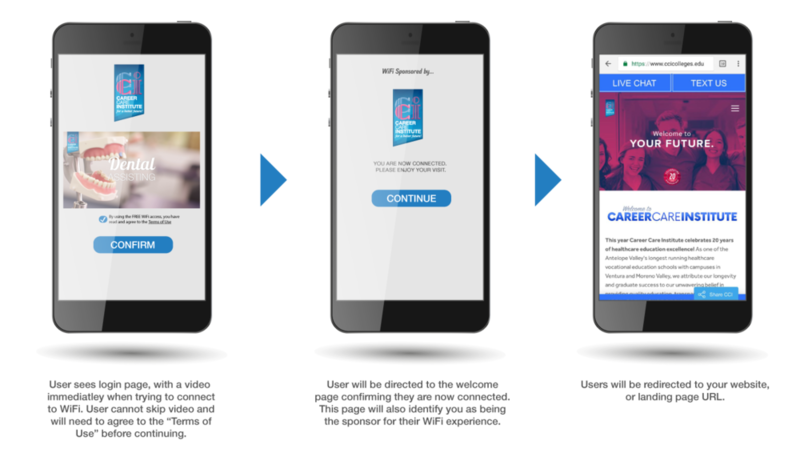 KreativeVue & Fluidium enables brands to sponsor free WiFi in exchange for watching sponsored video or static ads. The Antelope Valley has an average of 11,360 riders each day, with each route carrying approximately 750 passengers. Monthly analytics to better understand and gauge your audience. Gain insights to when riders access WiFi and more. ZScaler™ cyber security provides state-of-the-art data protection and protects accessing adult content, hate content or another other offensive content. KVM can design your static ads. Client can provide their own ad design as well. Ad types can be delivered as static images, Gifs or video--up to 15sec. When your target audience opens their device to connect to WiFi, consumers watch your rich ad in exchange for free WiFi and your brand gets noticed. In the next year, over 75 buses will be WiFi equipped in the Antelope Valley. Put all that connectivity to use and collect the data you need, such as email, phone number, name, etc. for your next email or text campaign. Collect data from social platforms like Google and Facebook. Our platform allows you to fully customize the login and connection confirmation page to suit your brands needs. Brand appreciation for sponsoring unlimited "FREE" WiFi service. Coming to Anaheim and Oakland soon!